Sections of Cuba's Bellamar Caves are being considered for UNESCO's World Heritage status, the official Granma daily reported. If accepted, the site in the western province of Matanzas would become the country's 10th cultural or natural attraction on the World Heritage list, reported Xinhua. 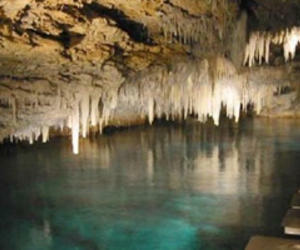 Bielka Cantillo, director of Cuba's Provincial Centre of Cultural Heritage, said select caverns at Bellamar were being considered for their "exceptional beauty". Those sections of the 23-km-long cave system are not accessible to the public and therefore are still in pristine condition. The Bellamar Caves were discovered by accident in 1861 by a Chinese employee of a local land owner. The caves, known for stalactite formations and marine fossils, are estimated to be more than 25,000 years old. Their most distinctive feature is a translucent and complex network of crystal formations created over the years by successive floods that have left sedimentary crystalline layers.